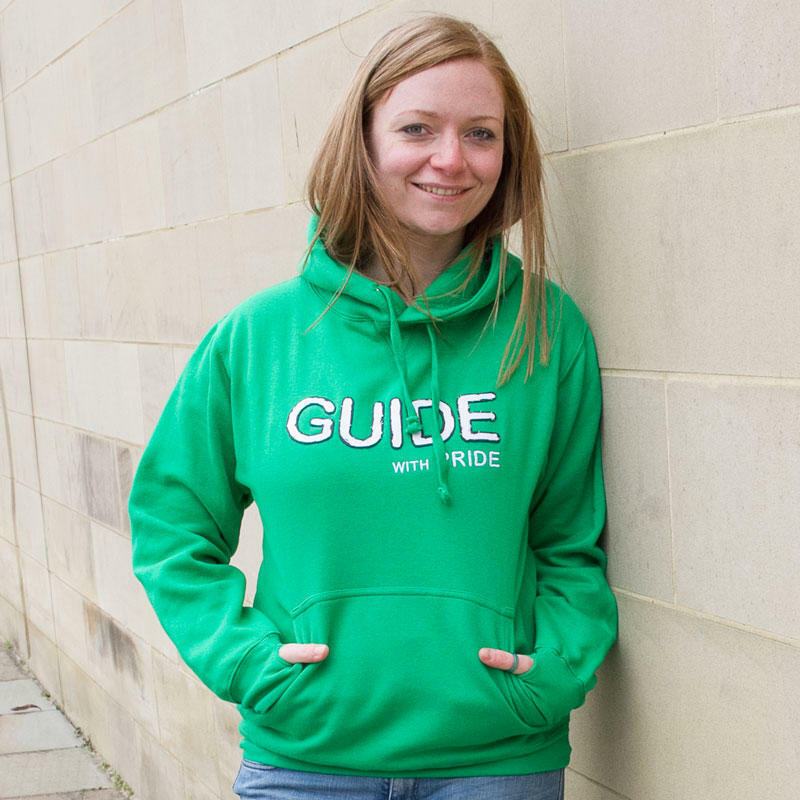 This dark red hoodie has the word "GUIDE" in a dual layer applique style to the front of the garment, with "with PRIDE" embroidered below. The hoodie itself is a top of the range 12oz. heavyweight hoodie with twin needle stitching and three panel, double fabric hood. It is also mp3 player compatible. Warning: Once this hoodie is on, you will not want to take it off! - Pocket within kangaroo pouch with small opening for ear phone cord feed.